New & Used Equipment Available. Every new wakeboard sold comes with a FREE ALL DAY PASS to the park. We carry cable, boat and hybrid Wakeboards from the beginner to advanced levels. All of our cable and hybrid Wakeboards have a grind base to deter wear and tear on the board when hitting cable park features. 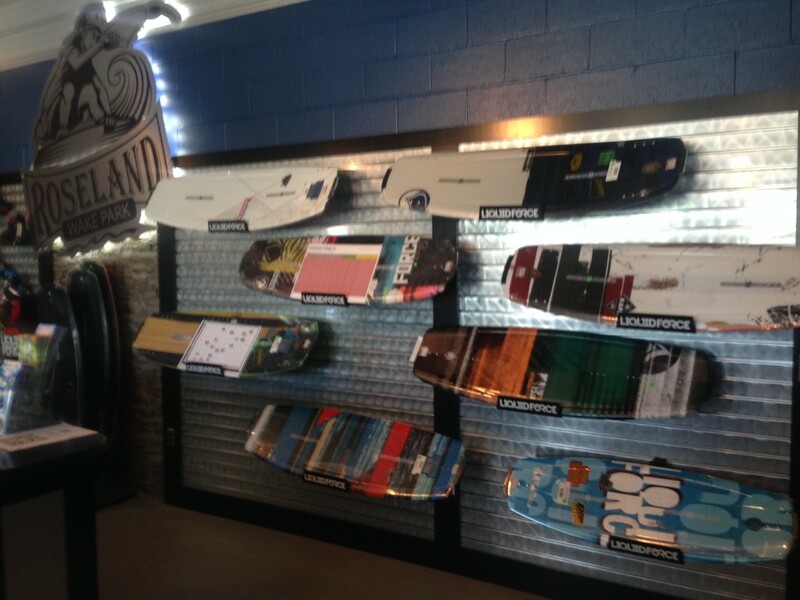 Our boards vary in rocker and other features so we can accommodate a variety of riding styles. 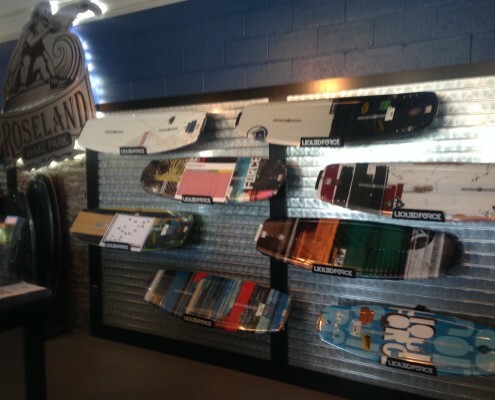 Our staff is trained to help you find the right board for you based on your individual needs. We are an official Liquid Force test center so come try out the newest wakeboards, bindings and wake skates at our park today! We carry beginner to advanced Bindings in both the open-toed and close-toed varieties. An open-toed Binding allows for a bigger size range for comfortability. A close-toed Binding gives the rider more control of the Wakeboard for a better riding experience. A wakeboader’s riding style determines whether a stiff or flexible binding is best so let us help you find the right Bindings for you! 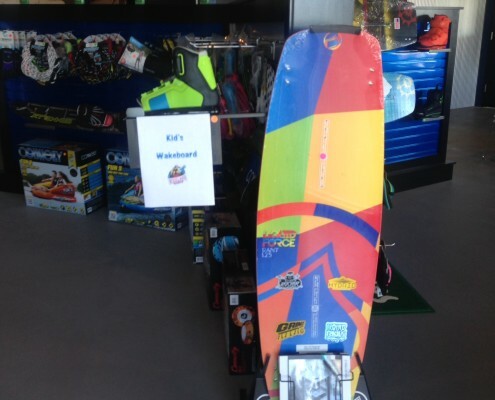 We carry many different Wake Surfers that vary in size, shape, weight and riding style. We have both skim and surf style Wake Surfers with a variety of channel and fin combinations that provide unique Wake Surfing experiences. Weight and skill level play a huge role in finding the right board. Whether you want a quality board that everyone can enjoy or you want a board that will help you push your limits behind the boat, we will have the board for you! Liquid Force’s Wake Skate brand is called Obscura and is ridden by some of the top wake skaters. The Obscura line has beginner to advanced Wake Skates with both EVA foam decks and gripped decks. 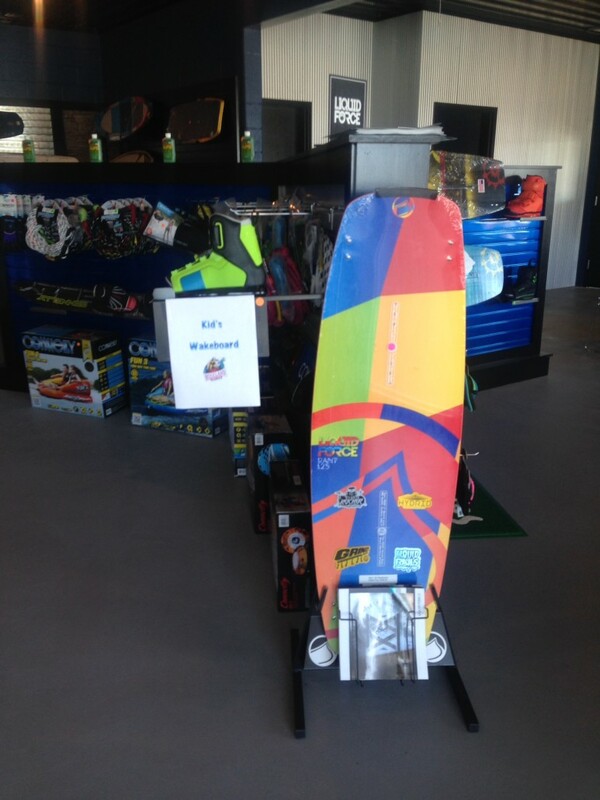 These Wake Skates are great for the cable park and behind the boat! There are a variety of Stand Up Paddleboards (SUPs) on the market today and we carry all the different styles. Our top of the line epoxy SUPs are lightweight and perform great on the water. Our soft-top SUPs have an additional layer of EVA foam on the top for a comfortable feel and extra protection against dings. We also have inflatable SUPs, which are stable and great for travelling. 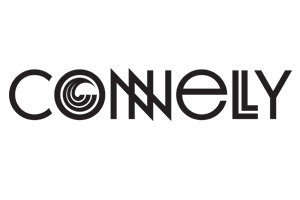 We have O’Neill Wetsuits available for both retail and rental. Come test a new Wetsuit out and keep warm during the colder months. We have men, women and youth sizes available. Styles include heater tops, spring suits, 3/2 full suits and even 4/3 full suits. We are an official GoPro dealer. We carry GoPro Hero and Hero Session cameras, as well as different mounts and accessories. We will also have a GoPro Hero4 Session available for rent and SD cards for purchase so you can capture your fun at the wake park! We have all your summer apparel needs in our pro shop. 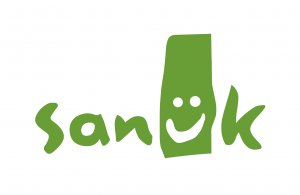 We carry Sanuk sandals, boards shorts, bathing suits, tank tops, T-Shirts and hats for you to proudly wear this summer. Want to Waterski or Kneeboard at the wake park or behind your boat. We have training skis, combo skis, slalom skis, kneeboards and even wake skis available in our retail shop and our rental room. 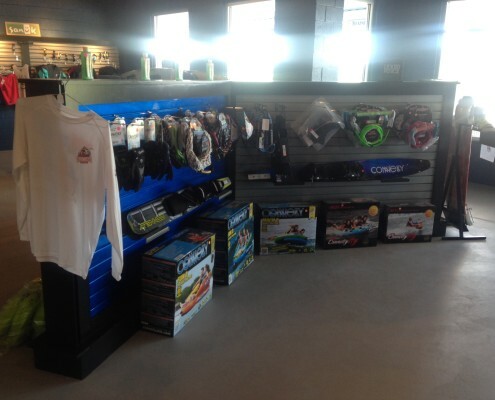 As the best Watersports Retail Shop in the Finger Lakes, we have all the accessories and toys you need to fun out on the water. We carry a variety of sizes and styles of inner tubes that are great for both lounging and being towed behind the boat. 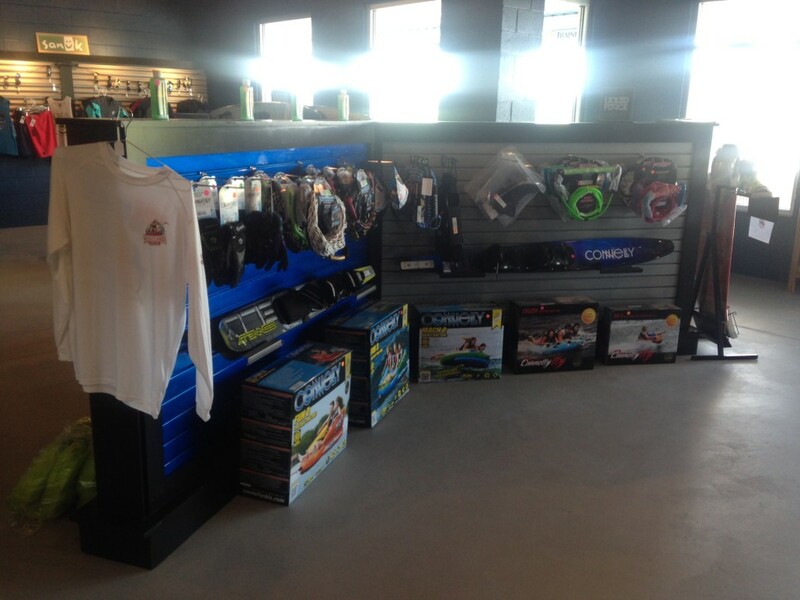 We also have gloves, ski ropes, wakeboard ropes, tube ropes, surf ropes, life vests, fins, leashes and helmets. Don’t forget your Sun Bum sunscreen to enjoy a great day in the sun! Looking for a quick intro to Roseland Wake Park? Demos are available on many of our products before you buy and we are able to special order any product to meet your needs. 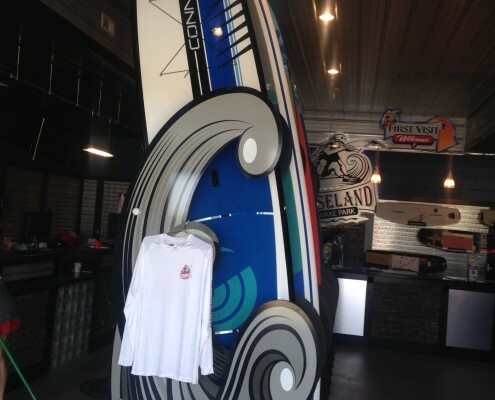 Stop by and check out our wide variety of Watersports Equipment. 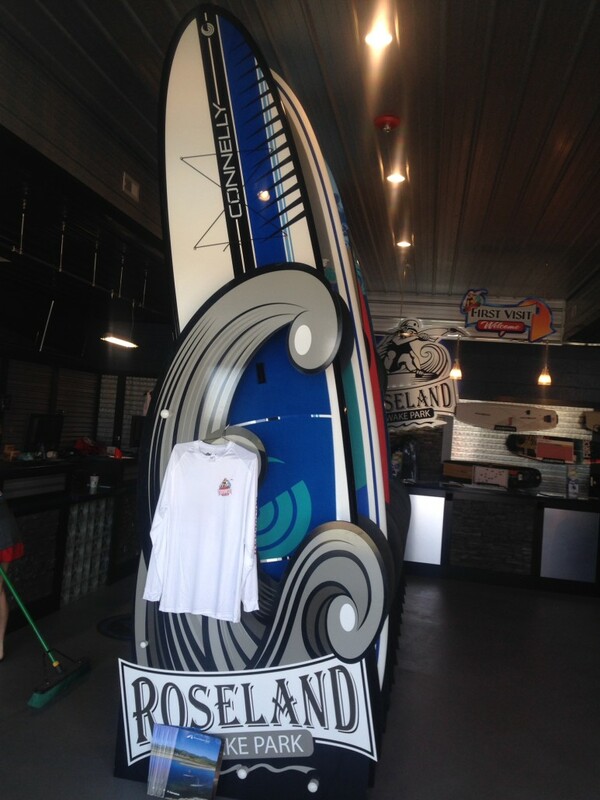 The Pro Shop at Roseland Wake Park offers the largest selection of Water Sports Equipment in the Finger Lakes. Our staff are knowledgeable and will help to guide you through the purchase process. We will match any competitor’s pricing of the same product of the current year up until August 1, 2017. We can special order any product from the brands that we carry.